I’ve been holding off posting until I could post somthing positive. Positive and about running. Following my last entry, I was bouncing with enthusiasm for a nice long(ish) Sunday run on one of my favourite routes along the canal – I was chilled about speed, distance, time, whatever, even taking my camera with me so that I could stop to smell the flowers and snap the sheep in the fields. I set off. I managed a quite literally staggering 2 minutes 45 seconds and couldn’t go any further – my arms and legs felt heavy and it was like running through treacle. I felt absolutely exhausted, but wasn’t going to give in. 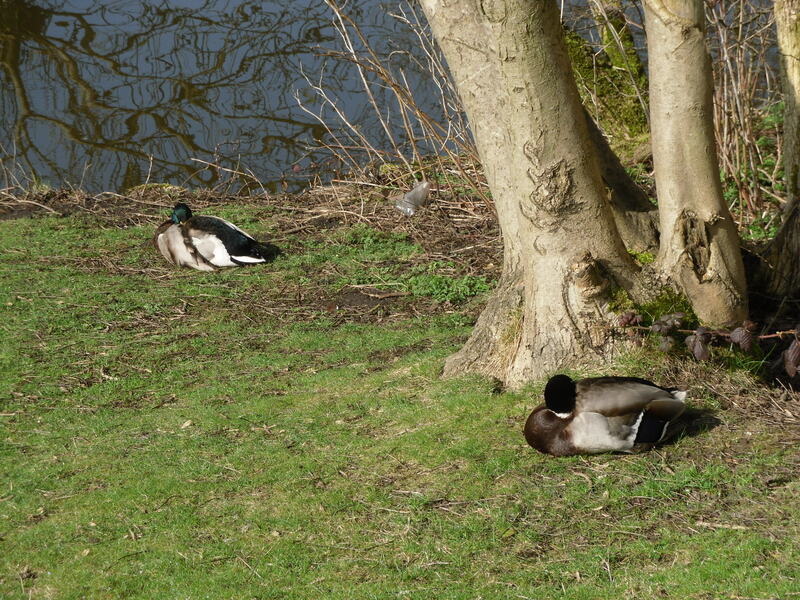 Ended up with a total of 2.55miles plodding and plod/walking, oh, and a lovely picture of some sleepy ducks. This was followed by another 30minute morning run on Monday, which was still slow, but this time my hands didn’t swell up like bear paws so I called it a success. 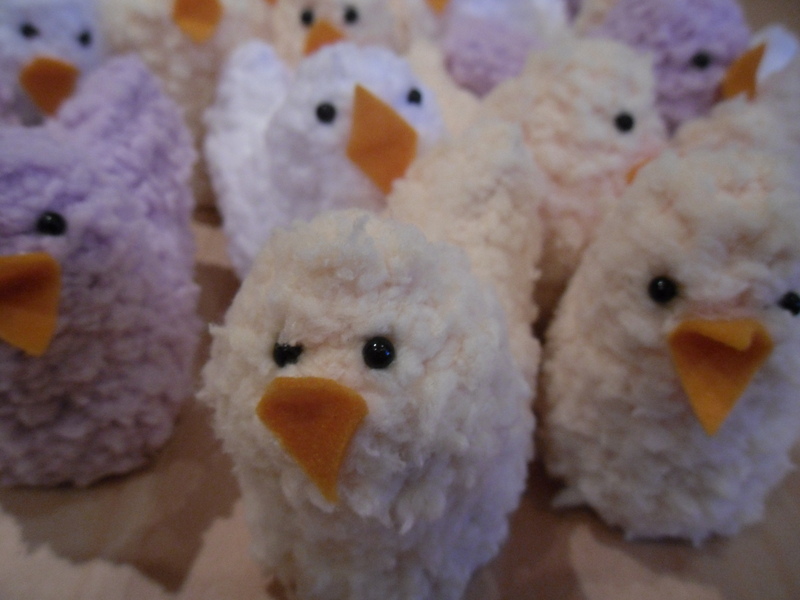 Unfortunately, this was followed by a week where I felt totally whacked and reminded me of glandular fever. Clearly, these are not the positive things that I promised in the first sentence. 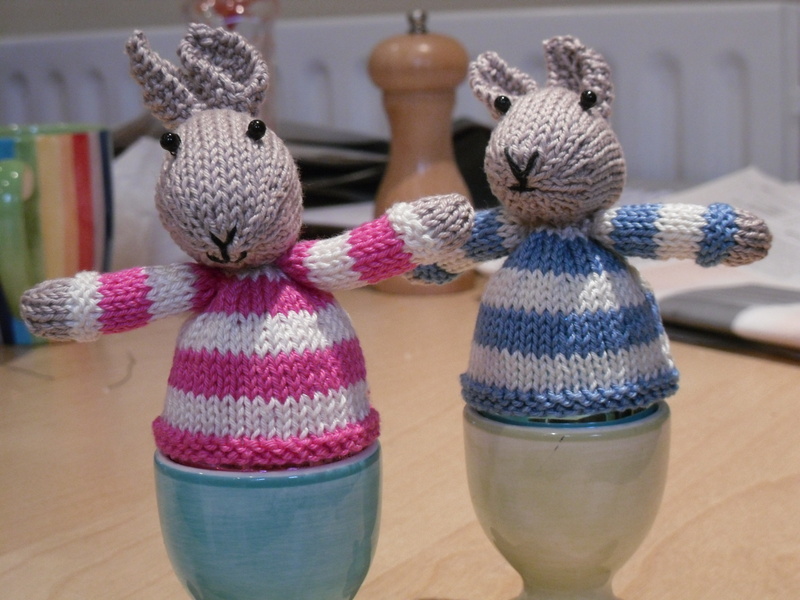 I have also been knitting for Easter, creating an army of fuzzy chicks and a pair of egg cosies from a pattern by the awesome Little Cotton Rabbits. It doesn’t take a genius to workout that I more naturally inclined towards knitting (with its sitting down in the warm) than running (with its moving around outside). However positive that it is, it’s not positive and about running (as promised in the first sentence). I had 2 lovely runs on Good Friday and Saturday, followed by a Tuesday night club run. I’ll admit that I’ve been avoiding these a bit recently as the gulf between the plodders at the back (me) and the speedy gonzales at the front (everyone else) seemed to be getting wider and wider. Last night, I was lucky enough to run with one of the coaches who, as well as being the most scarily positive person in the world ever, gave me lots of advice and encouragement. As well as getting me round 4.23miles (the longest I’ve run in over a month), I averaged 11.07 minutes/mile. I know that these stats aren’t exactly world beating, but at the weekend I was chuffed enough with 2.7 miles at 11.06 minutes/mile and I now realise that I could either be going further or faster. Suddenly, the glass feels half full and I can feel a bit of confidence creeping back. It’s a rather nice feeling.